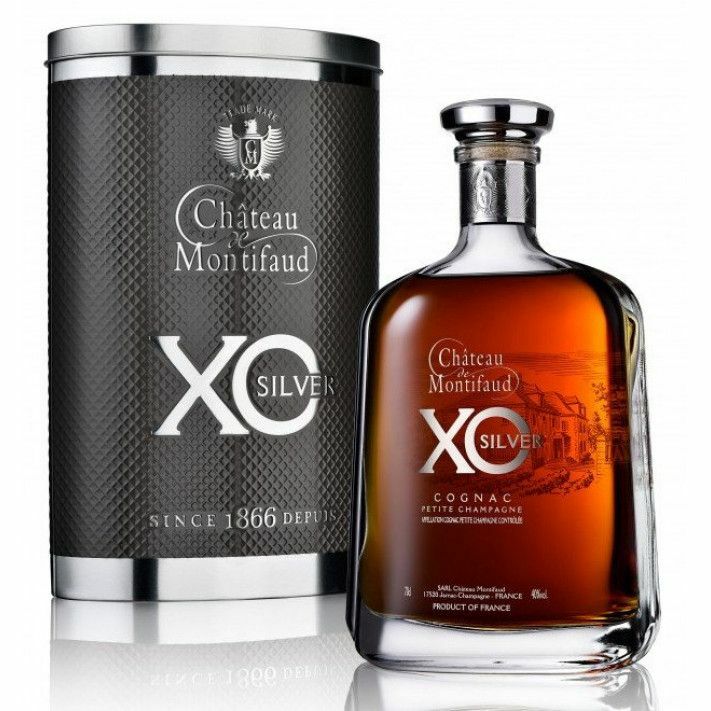 The Chateau de Montifaud estate is nestled at the cusp of the Premier Cru where it meets the Petite Champagne, and therefore occupies one of the most enviable positions in the region for producing Cognacs such as the Chateau de Montifaud XO Silver. This is an exclusive Extra Old Cognac aged for over 20 years in red Limousin oak casks and then in ‘old’ barrels, and is made from a series of eaux-de-vie from the Petite Champagne terroir. The family reach into over 150 years of savoir-faire to create a stunning spirit that arrives in an equally stylish presentation box and decanter, bottled at 40% ABV. The Petite Champagne is celebrated for its ability to produce fine, lightly floral eaux-de-vie. The chalky soil and limestone subsoil are key in its unique geological makeup, along with a maritime climate. Ugni Blanc grapes that grow here enjoy optimal conditions in order to produce eaux-de-vie such as that of the XO Silver. Crafted with care, the white wine from the Ugni Blanc grapes is distilled on the lees developing its flavor and full body. This is where the Cognac is given its floral character. It is then aged in French red oak casks, to then be moved to older casks to finish its maturation. The 48 hectares that belong to this smaller, artisanal Cognac house are highly desired by those of larger houses. They are a family distillery that prides themselves on living and breathing the art of Cognac at the meeting point between the two Champagne crus. Chateau de Montifaud XO Silver arrives in a stunning tin presentation box that is silver to match. The decanter is also equally stunning, with a silver stopper and an illustration of the family estate faded into the liquid. An XO Cognac should typically be enjoyed over ice or neat.